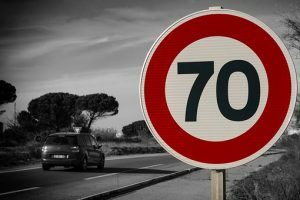 There have been various reports recently about a statement allegedly made by West Mercia Chief Constable Anthony Bangham, that the police should actively prosecute motorists exceeding the speed limits – even if its just 1 mph above. In his blog he has gone out of his way to clarify what he said and believes. This is that road enforcement must be proportionate, but the limit is the limit! He said ‘The focus on the one mph issue has detracted from the real point I wanted to make – drivers shouldn’t just assume they’ve got a free pass to drive over the limit. Comments I made last week have led to a perception that the police are going to be pursuing and prosecuting drivers just one mph over the speed limit. That is not the case and was never advocated – and I now need to clear up the misunderstanding. Firstly, the background. Last week I spoke at the national roads policing conference, which brings together police officers specialising in roads policing to discuss and debate issues, joined by media colleagues. Everyone at the conference was concerned that we are seeing an increase in deaths and injuries. On average five people are killed and 66 seriously injured every day in road traffic collisions. Part of my role as the national police lead for roads policing is to strive for ways of reducing those numbers and making our roads safer, and I take that responsibility very seriously. In that context, at the conference I was asked about speed limits and the so-called ‘buffer zone’, which has developed over time and means the public expect that they are given a leeway of 10 per cent plus two mph over the limit. I said we should be clearer with the public that the limit is set for a reason and you can be stopped and action taken against you when you are over it. The logical conclusion of that argument, and the way it has been widely reported, is that we’re going after people just one mph over the limit. I now want to be clearer on this point – our aim is not to be pursuing drivers one mph over the speed limit and putting them through the courts. This would not be proportionate or achievable. Police enforcement is always intelligence-led, proportionate and applied with common sense. The focus on the one mph issue has detracted from the real point I wanted to make – drivers shouldn’t just assume they’ve got a free pass to drive over the limit. The limit is the limit. Officers have discretion to act based on the circumstances. There may well be occasions where someone is speeding a couple of miles over the speed limit outside a school and an officer could reasonably decide it is proportionate to stop them. Our priority for action is always going to be the most dangerous drivers but the reality is many drivers now routinely drive above the speed limit. Of course common sense must be applied, but there should not be a ‘comfort zone’ over the speed limit where it is considered safe to speed. The limit is the limit for a reason. I speak not from a desire to punish drivers but to fulfil our responsibility for helping to keep roads safe. Deaths and injuries on the road ruin the lives of victims, their families and friends and we see this every day. As police officers it’s important that we are not apologetic for enforcing laws that are there to keep us all safe.